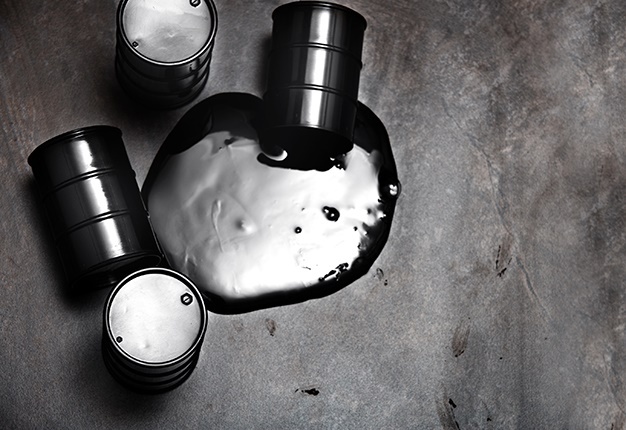 Cape Town – Generators of used oil are required to make sure that licensed used oil collectors remove this hazardous waste and take it to a licensed processor for responsible recycling. However, after collection, the used oil is often sold by the collector to the highest bidder, who may be an unlicensed processor, or end user. Legally, the responsibility lies with the generator to ensure that the person who collects used oil is licensed, audited and can provide the legally required Safe Disposal Certificate and Hazardous Waste Manifest, and failure to do so can result in fines and prosecution of the generators and collectors. Bubele Nyiba, CEO of the ROSE Foundation (Recycling Oil Saves the Environment) says besides oil ending up in landfills or down drains, an ongoing problem is that some used oil generators sell their oil to “end-users” who use it for harmful practices such as burner fuel for furnaces, painting vineyard poles and fence poles as a wood preservative, or spraying of dirt roads as a dust suppressant. “Illegal practices such as those highlighted above allow used oil to make its way into the environment. Used lubricant oil contains harmful compounds and carcinogens and one litre of used oil can contaminate one million litres of water – a fact which led it to be classified as a hazardous waste. Nyiba said: “In South Africa we have a system in place whereby the used oil collectors purchase the used oil from the generators. This model – which was pro-actively adopted many years before legislation governing the responsible recycling of waste, and the pricing of waste, was introduced – has been successful as it has given value to used oil as a waste, thereby incentivising its responsible collection. He said: “Used oil generators in South Africa often sell their oil to whoever offers the highest price, regardless of the qualifications of that person. “All too often we are seeing fly-by-night used oil collectors entering the industry who offer higher prices for the oil but do not take it to a registered processor for recycling – and so also cannot offer the used oil generator a Safe Disposal Certificate or a Hazardous Waste Manifest – both of which are required by law. Failure to be able to produce either of these documents if asked can result in stern penalties and even prosecution. Nyiba urges used oil generators to use ROSE licensed used oil collectors and processors who will come and remove the oil and take it to be recycled in an environmentally compliant and safe manner. • A unique consignment identification number. • The generator’s contact details, including the contact person, physical and postal address, phone and fax number and email address. • The physical address of the site where the waste was generated. • An emergency contact number. • The origin/source of the waste. • A description of the waste. • The physical nature / consistency of the waste (liquid, solid, sludge; pump-able, non-pump-able). • The quantity of waste. • Packaging (bulk, small containers, tank). • Transport type (tanker, truck, container). • The date of collection / dispatch. • The intended receiver (waste manager). ROSE registered collectors and processors are also compliant with all waste transportation legislation and are strictly managed and audited – further ensuring your compliance as a waste generator. “As the source of a hazardous waste which is governed by laws and carries repercussions, used oil generators must take responsibility for what happens with their oil and must ensure it is taken away by a licensed collector to a licensed facility – and must also insist on the paper work to verify this. “Don’t leave yourself open to possible fines or prosecution should you not be able to produce the proper paper trail,” concludes Nyiba. For more information and to find out about a registered used oil collector contact the ROSE Foundation on (021) 448 7492.